Happy March and an early Happy St. Patrick's Day. 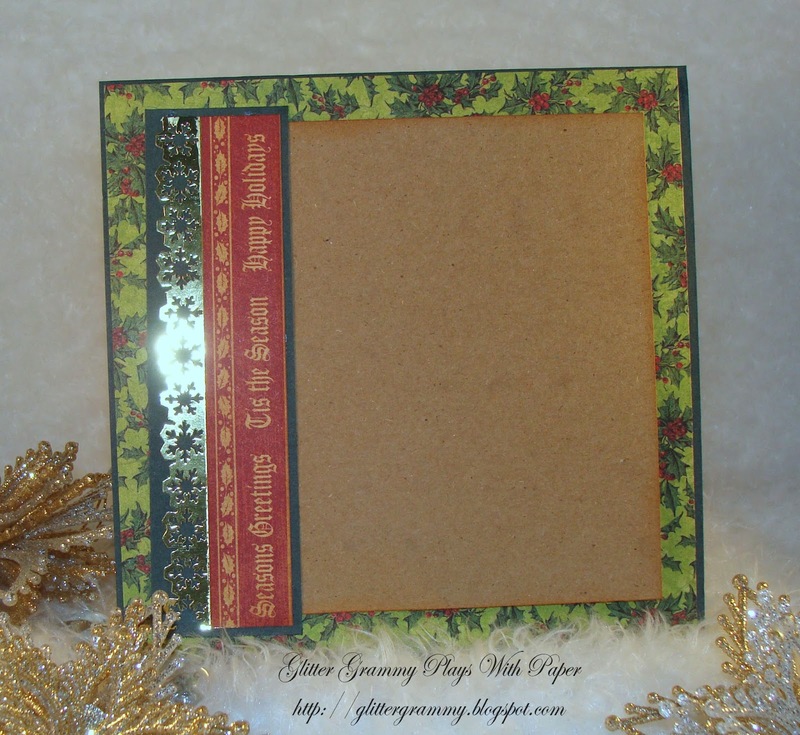 That said, my card for the Sparkles Christmas Challenge is wearing a bit of the green. Thanks to Jennifer who gave birth to this fun challenge. 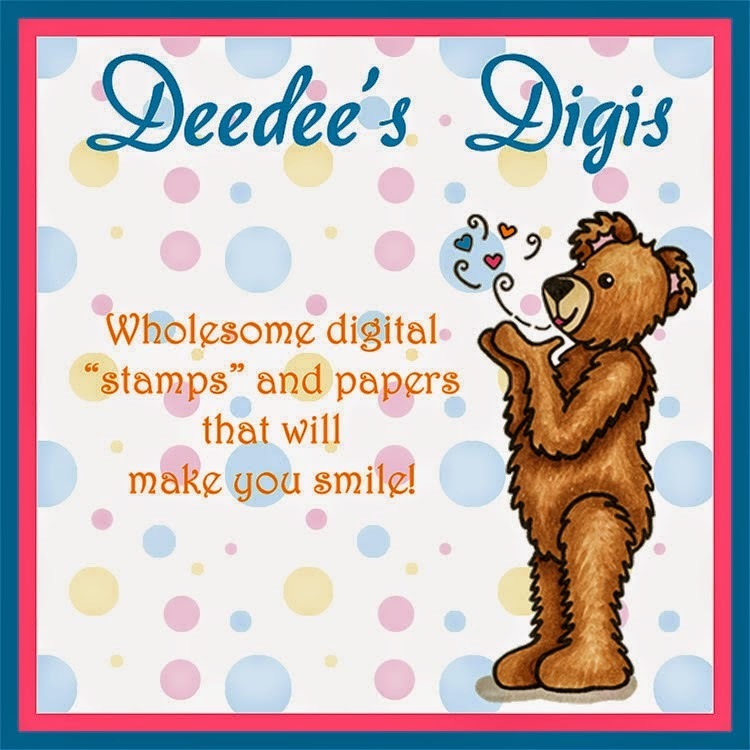 Thanks also to Deedee's Digis and Di's Digi Downloads for sponsoring this month's challenge. The inspiration for this card was running late, and grabbing an 8x8 paper pad as I ran out the door to my Monday crop group. Thankfully, there was something green. I love it when things come together in the most unusual way. Want to see another card....yup, two, can you believe it? I am on a roll. I don't use digital stamps very often...why? I don't know. After I finished the above card, I decided to have a look at Dee Dee and Di's internet store. While on DeeDee's Digi's I found Daniel.....who wouldn't fall in love with this face.....and here he is.....Meet Daniel! 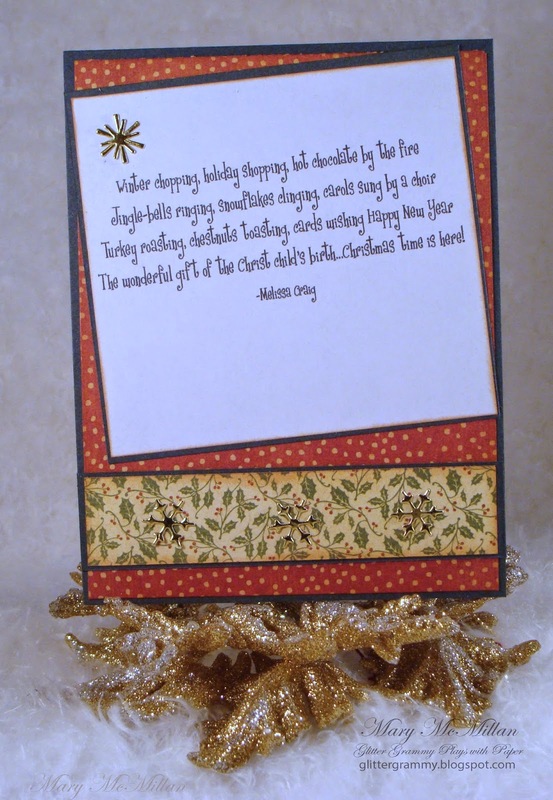 and here's the inside....I don't know if you can read the sentiment, but it pretty much describes the Holiday Season. It too is part of the digital file. Pretty cool! Well, I guess I should get moving. Lots to do today and since it's not craft related, I need a bit of a push! Fab makes Mary, especially love the 1st one! 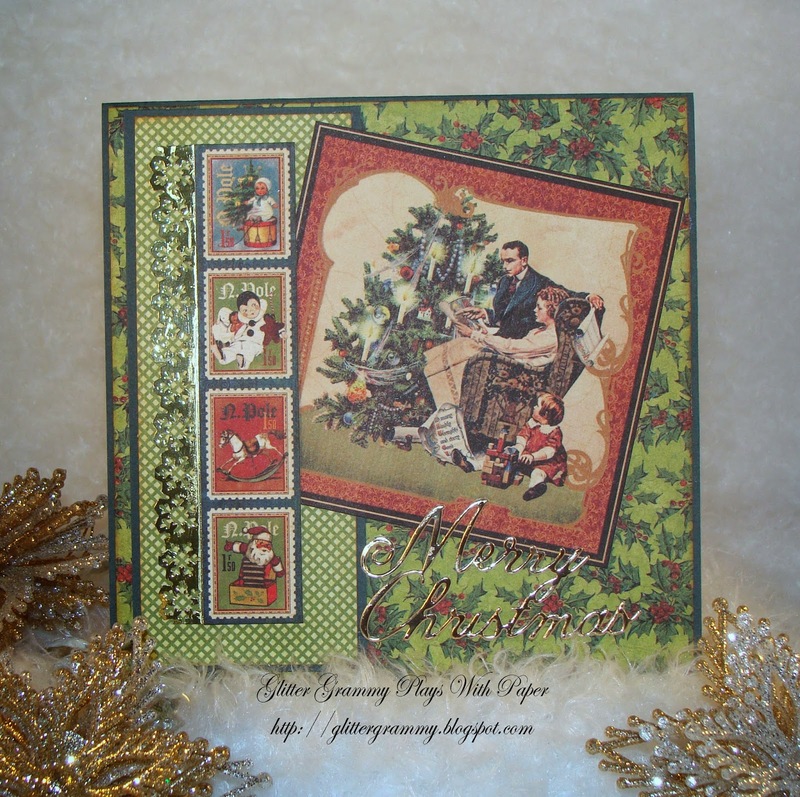 Love the nostalgic Chrsitmas look of your first card and the papers are lovely and vintage looking too. 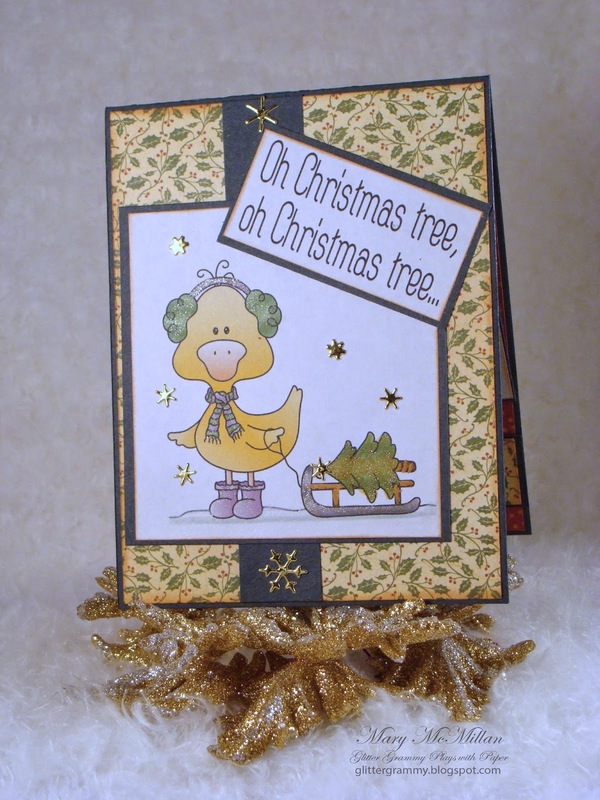 That is one cute duck on your second card. hugs Mrs A. Love both designs. I love how you decorate the insides too.